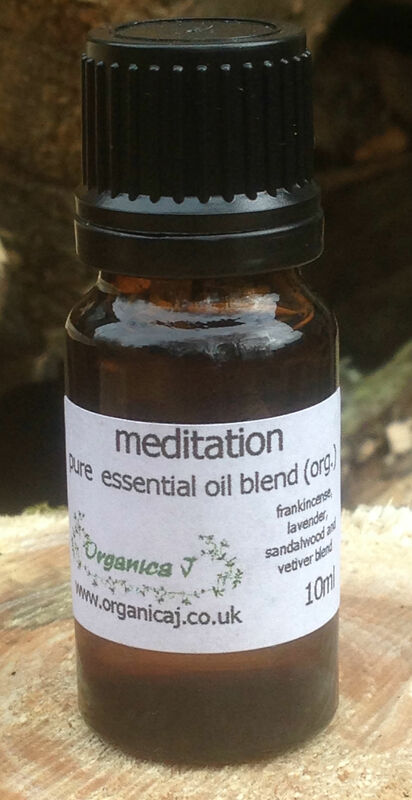 New Meditation Essential Oil Blend - encourages meditation by calming the soul, clearing the mental chatter from your mind. Connect spiritually with the help of this blend - a balanced connection with the higher resonance of frankincense along with the grounding effect of vetivert and sandalwood. An ultimate de-stress when life is busy, allow the depth of this blend stroke away the days worries.